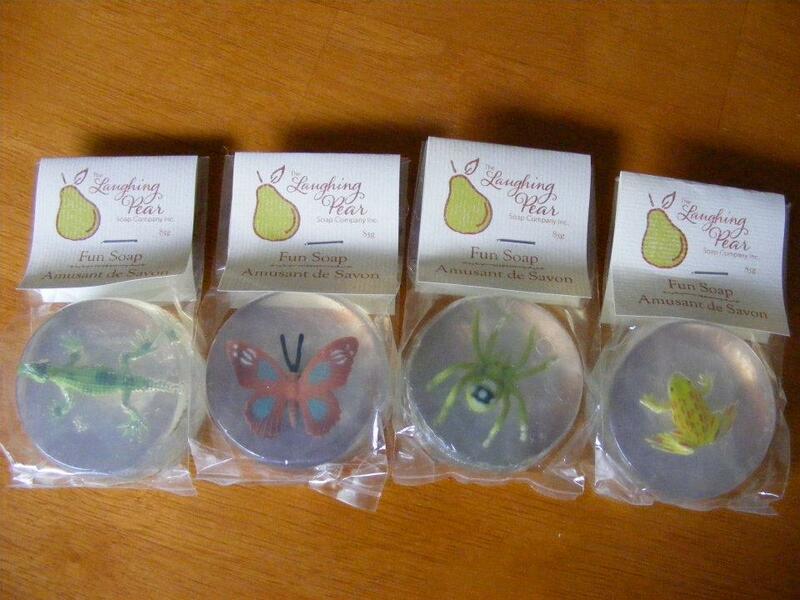 As I thought about what good news in Sackville that I wanted to talk about the first thing that came to mind was my oldest son’s favorite soap company, The Laughing Pear. Maybe you think it is odd that I didn’t call it MY favorite soap company (Which it is by the way). But the Laughing Pear Soap Company really is Simeon’s favorite soap company, or maybe it is better to say they make his favorite soap. My good friend Amy Scott is the owner and operator of this wonderful small business. Amy graduated from MSVU with a undergraduate in chemistry and a bachelors of education from Acadia. However shortly after graduating she discovered that she did not thrive in the classroom setting. A handful of odd jobs later, one being my secretary, (sort of) it became clear that one of the greatest passions in Amy’s life was creating things. So when she discovered a delightful Annapolis Valley soap company for sale she knew it would be a great fit. Today Amy is one of the great entrepreneurs of Sackville. She faced a sudden career change in a very unstable job market and she has been making something wonderful for herself. Seeing such a great local business take root here in Sackville is such good news! You can find Amy these days making her soap by hand out at her studio in Lawrencetown and at the Alderney Landing Farm Market where she is fast becoming a staple vendor. If you want to know more about Laughing Pear Soap or want to see a full list of shops that carry this product I would suggest you take a peek at her web page here, and like the Laughing Pear Facebook page. If I could put into words why I like the products so much it has to be a combination of having high quality soap that is free of harsh chemicals, and that good feeling that comes from buying local. Plus I like the smell of all the soaps. Simeon loves his soap with the toy at the centre. We are now on our third bar of soap and because he wants the toy in the centre he washes his hands like a pro! We have earned two frogs and are now working on a dinosaur. Before we started using this soap I had to really police him to make sure he washed hands, now I have to go in and tell him to stop. Now the great thing is you don’t have to take my word for this! Amy has generously supplied me with some kid soap to give away. Click on the link below for your chance to win! Good luck, the soaps are great! I would love to win some of Amy’s soap…and you would love to deliver it to my house on the beautiful Caribbean island of Roatan, Honduras! Well I would enjoy a great trip to the Caribbean Island of Roatan Honduras, we’ll have to work something out. These are so cool! Cam would love it. Pear please! Like are a lot of fun, good luck Cam! Pear Please! These are so cute. Abby would love! Good luck Crystal and Abby! Pear please! My kids would LOVE these! pear please!! gabe would SO love these in the bathtub with him!